Do you sometimes feel like you’re on information overload? With hundreds of television channels to choose from, social media options such as Twitter and Facebook, and more and more websites popping up every day, it’s challenging to know which information to trust. 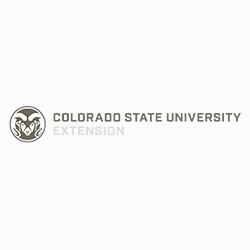 Colorado State University Extension can provide relief by offering reliable, research-based information to help you make informed decisions. Wherever you live, Extension’s job is to determine what issues, concerns and needs are unique to each community, and offer sound and effective solutions. Whether you have a question about health, financial literacy, pasture or livestock management, weeds, pests or gardens, 4-H or youth development, renewable energy, elder or child-care issues, CSU Extension can connect you to the latest, most accurate data. For over 100 years, Extension has helped people in Colorado find the answers they need—for a healthy home life and successful business. And now with our partners at eXtension.org, everyone with a computer has access to a nation-wide network of professionals who can help answer specific questions and solve distinctive problems. There’s only one difference between Colorado State University Extension and the University itself: the entire state is our campus. Our system of county offices puts Extension resources within easy reach of Colorado’s 64 counties. In 1914, Congress authorized land-grant Universities in every state to feed research-based information to Extension agents in each county. We’ve been in the education/information business ever since. Faculty and staff with expertise in agriculture, horticulture, range, forestry, water, health promotion, financial literacy, business management, community development and 4-H youth-development-based in counties and on campus-are all part of Extension’s effort to bring the latest information to the people of Colorado.